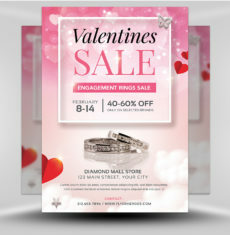 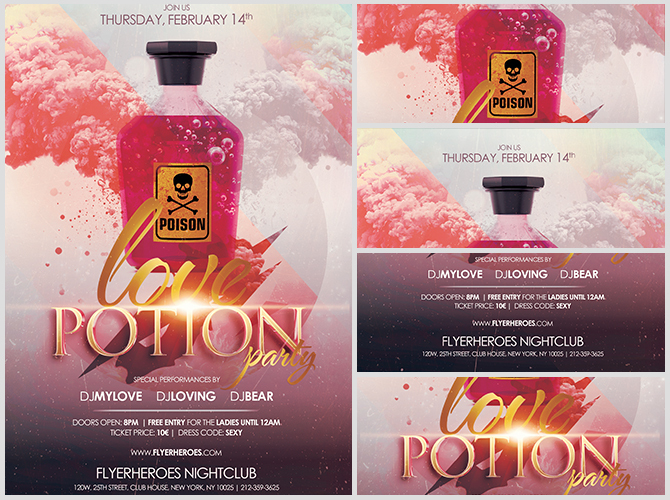 Use our intoxicating flyer for your next Valentine’s Day event! 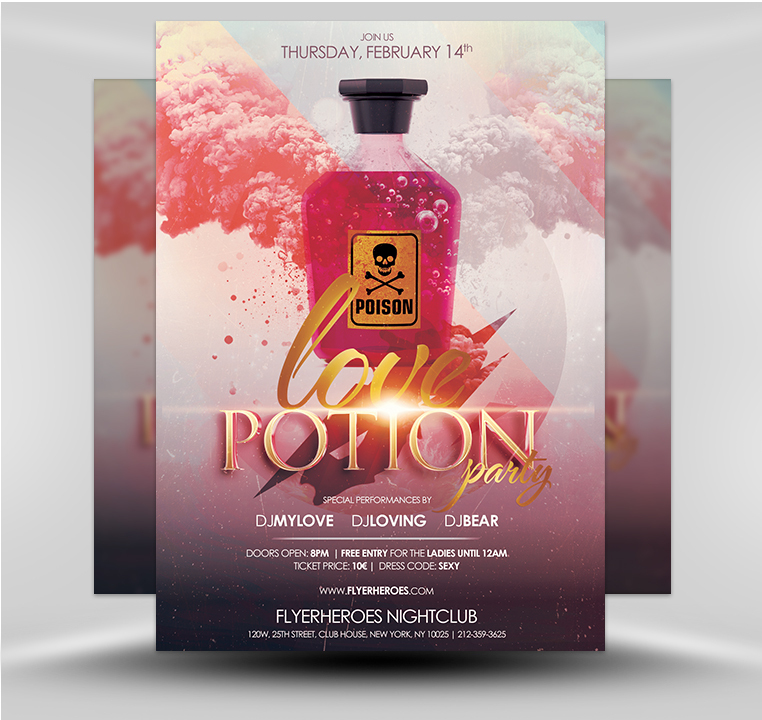 This flyer features a vial of pink potion, bubbling over a background of pink clouds. 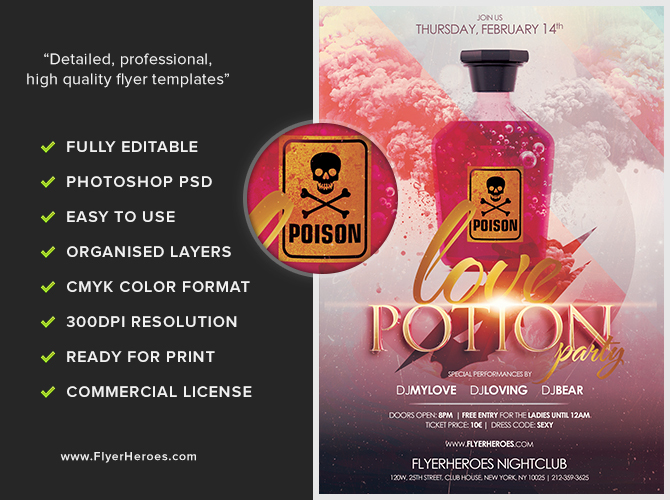 The bright yellow poison marker gives the flyer an edgier interpretation of traditional Valentine’s Day. 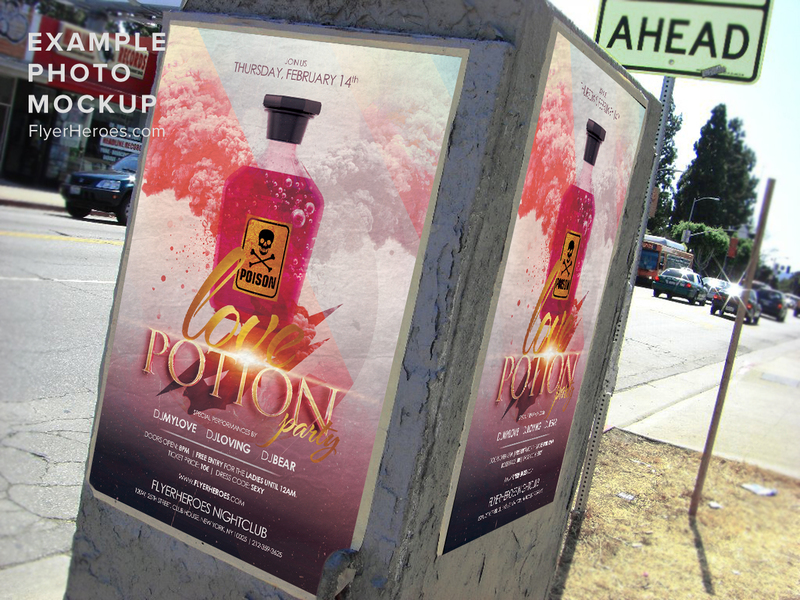 The gold lettering highlights the name of your event, using an appealing combination of flowing script and crisp serif fonts. 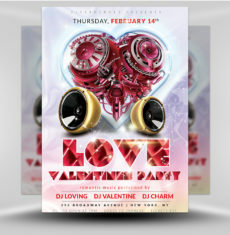 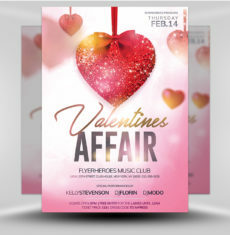 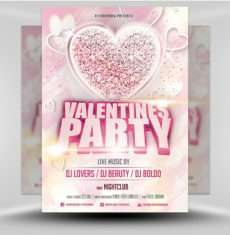 This flyer would be ideal for promoting your Valentine’s Day club night or special event!